High Speed Buffers: You have tha bad stories. Now hear the truth! Helping you ask the right questions! 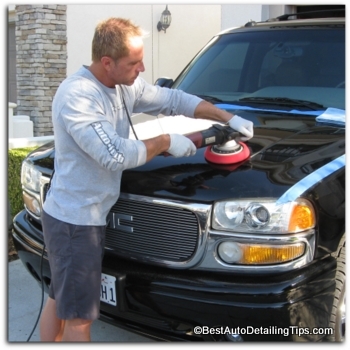 High speed buffers are considered the red-headed step children of the car polishing and detailing world. Unfortunately the wrong people seem to carry the loudest voice when it comes to popular opinions. The online forums are filled with wannabe detailers and so called experts spreading opinions based on limited experience. And if that wasn't enough, you add further confusion by many other people simply regurgitating bad and unverified information. Anyone looking to take their polishing skills and performance to the next level must seriously consider what the industry has to offer in the way of high-speed polishers. "My experience has shown that most people don't have enough information to even ask the right questions." Often we find ourselves making decisions based on partial information; largely because we are all now drowning in this digital sea of free information called the Internet. The Internet now allows virtually anyone a free platform in which to express their opinion, regardless of whether this opinion is good, bad, or even based in any degree of actual experience. What is a high-speed buffer? How would I know which buffer is the right one for me? What buffer do you use? Which buffer would you recommend most? "Polishers" and "buffers" are the same. They are interchangeable terms. Also called high speed buffers. The polishing head spins on a single axis point. Considered the "devil" among the different types of car polishers due to endless stories of paint damage, burned edges, or swirl marks. Is only the "devil" if put into the wrong hands of an inexperienced person. Capable of producing great friction, speed, and heat that is necessary for certain types of polishing, or when polishing certain types of material eg. car paint, gel coat, metal, etc. The buffer you turn to when you want to do the heavy lifting when it comes to polishing, paint correction, restoration, etc. Can also be used to finish paint to perfection when used by a skilled person. 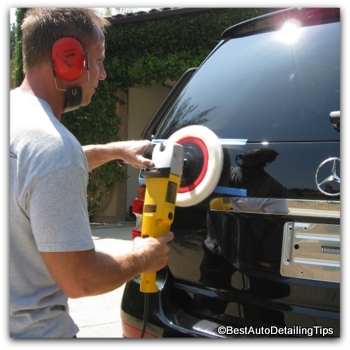 Due to the introduction of the other types of car buffers, very few detailers or enthusiasts use, or learn to use a rotary with true craftsman level skills. Also called dual-action, or DA polishers. These buffers have (2) points of rotation or movements. They both spin and oscillate (vibrate). 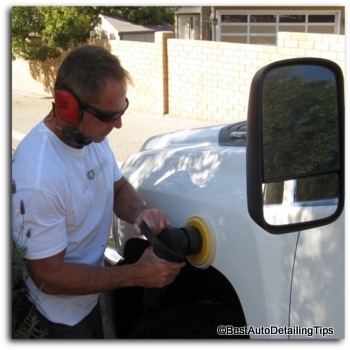 Considered the safest choice in choosing a car buffer due to its "random" rotation/spinning. Think of it like this: The earth spins on a single axis point, while rotating around the sun. The reason these types of car polishers are so safe is that when too much, or enough pressure is put upon the polisher, the polishing head stops spinning and only remains "vibrating" or oscillating at that point. This is like a safety feature that prevents excessive heat/friction build-up by inexperienced people. The best place to start if you are a true beginner in virtually everyone's opinion. And this includes me! If you are a true beginner and you want a very simplified approach to car polishing, I recommend you go to "Car Polishing for Beginners" and see exactly the route I recommend. Different than the random orbital in that both the spinning and oscillating (vibrating) are gear driven. Regardless of pressure you put onto the machine while polishing, both the spinning and oscillating will remain constant. Because these polishers are gear driven and not "random", they will prove to be a bit harder to control, or use when polishing. Some people will consider a positive drive dual action polisher as "less" safe than a true random orbital. The positive drive action also means you remain in more control when polishing since you will not be limited by the machine itself. Considered by many professional detailers as the best choice in a car buffer as you get the benefits of being in control, without the dangers associated with the high speed buffers. Because even a positive drive orbital buffer cannot produce the same level of friction and heat of a rotary, you will be limited to the type of work you can do, or how fast you can get to the finished result. 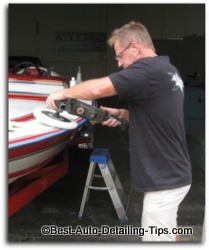 The "go-to" car polisher to produce what many call a swirl free, or hologram free finish. The big question of the moment!! 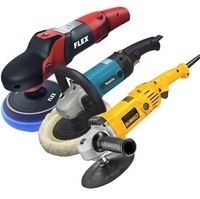 "A Random Orbital Car Polisher"
Which you can see which car polisher and polishing kit I recommend by going to "Car Polishing for Beginners"
I recommend orbital car polishers to any beginner as a rule. As a professional growing up using nothing but the high speed buffer, I know I can do the heavy lifting far quicker with a rotary polisher, then switch to a DA (dual action) random car polisher if I prefer for hologram removal. Because of my experience, I can also do the heavy lifting of compounding, then dial down the operating speed of the high speed polisher, switch from a wool pad to a foam pad, and finish the paint to a swirl free, hologram free finish. So in a perfect world, you might come to the conclusion that you will eventually want both a high speed polisher, and a quality random orbital (DA buffer). But since it's not a perfect world and you are trying to decide; I say the random orbital dual-action polisher is the go-to choice for most guys.